Running for political office? Selling a product? Announcing an upcoming event? 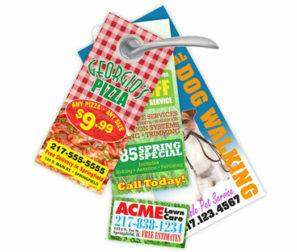 Get your message out and create nice "leave-behind" door hangers for your business or organization. 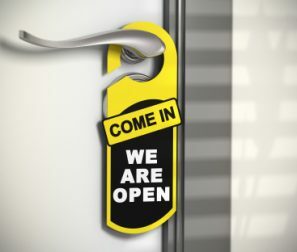 With our state-of-the-art digital printers and a plethora of paper options we will exceed your expectations when we deliver your professional brochure. Choose from glossy or matte paper stocks, a multitude of paper colors when you work with us. We will even insure that pictures and graphics are properly formatted for the best possible printed product. Don't knock door hangers. They are very popular!